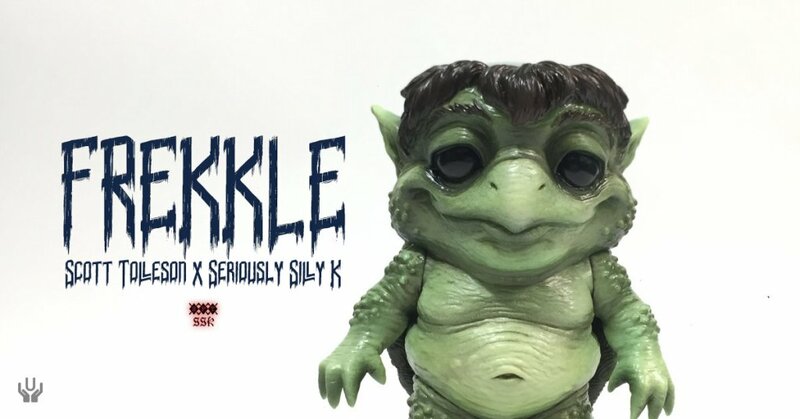 2018 DTA Best Production Sculpt (Panel voted) – FREKKLE by Seriously Silly K (designed by Scott Tolleson) gets the online release! Your boys at the newly crowed DTA Brand of the Year (Panel) – UNBOX INDUSTRIES are set to release FREKKLE (ORIGINAL VERSION). Scott Tolleson x Seriously Silly K takes on Japanese folklore supernatural monsters, spirit demon Yokai all powered by Unbox. The original colourway is finally getting an online release TODAY. This super cute interpretation of everyone’s favourite yokai has turned out a treat. Designed by Scott Tolleson, sculpted by Seriously Silly K and made by Unbox! Keep tabs on Seriouslysillyk (Kathleen) via Instagram, Twitter and visit her Shop.